Brookdale Community College is one of the most frequently searched colleges in America, according to a recent internet keyword search of United States colleges. Brookdale is a public, co-ed community college in Monmouth county, New Jersey. Founded in 1967, the college's main campus is in Lincroft, but Brookdale also has locations in Freehold, Hazlet, Long Branch, Neptune, and Wall. Brookdale is an open admissions college, meaning anyone with a high school diploma (or equivalency) can enroll. Currently, more than 15,000 students are enrolled at Brookdale College. Notable people who attended Brookdale College include sports broadcaster Jim Hunter, film director, screenwriter and actor Kevin Smith, and Major League Baseball player Denny Walling, among others. Here are the answers to some of the most frequently asked questions about Brookdale Community College. 1. Where is Brookdale Community College? 2. What types of degrees are offered at Brookdale Community College? The college offers Associate degrees in more than 60 programs, in addition to non credit classes and professional certificate programs. Associate degrees include the Associate of Arts (AA), the Associate of Science (AS), the Associate of Applied Science (AAS), and the Associate of Fine Arts (AFA). 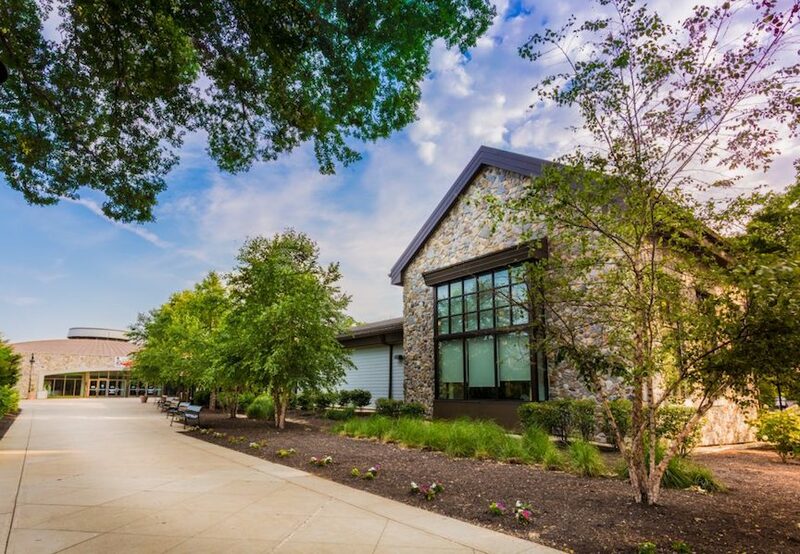 Brookdale is also affiliated with what they call a "Communiversity," where students can earn certain Bachelor's degrees and even Master's degrees such as an MBA. 3. What courses and programs are offered at Brookdale Community College? 4. Who should attend Brookdale Community College? 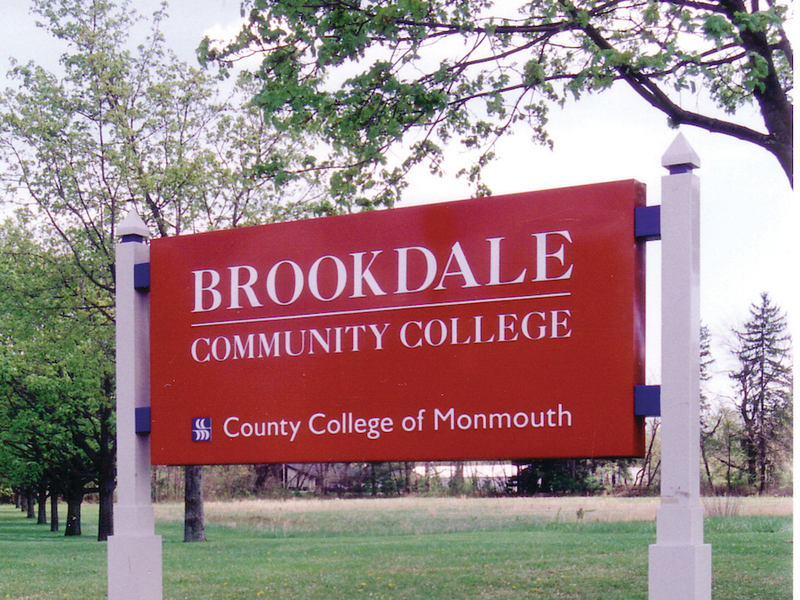 Graduates of Monmouth County High School are especially Brookdale-friendly, as one out of three Monmouth High School graduates attends Brookdale. 5. Why attend Brookdale Community College? Attainable higher degree programs include Business Administration, Education, Health Sciences, Information Technology, Liberal Arts, and Public Safety, among others. 6. How much does it cost to enroll at Brookdale Community College? $135 per credit (plus a $33.75 per credit "general services fee") for residents of Monmouth County. $246 per credit (plus a $33.75 per credit "general services fee") for out of county New Jersey residents. $271 per credit (plus a $33.75 per credit "general services fee") for out of state residents. Additional fees may also apply, especially in the health sciences and automotive technology programs. Financial aid may be available in the form of scholarships, grants, loans, and work study programs, to help students pay for their educations at Brookdale. 7. How long does it take to earn a degree from Brookdale Community College? Approximately two thirds of the students at Brookdale attend the school part time, with about one third attending full time. For full time students, the average time spent earning an Associate's degree is about two years. Part time students will, of course, take longer to complete their studies. How long it takes for part time students to earn a degree depends entirely on each student's individual situation. 8. What is the Brookdale Community College campus like? The Lincroft campus, located in Middletown Township, consists of 22 buildings. Among them are the Center for Visual Arts, the Center for WWII Studies, the Warner Student Life Center, the Collins Special Events Center, the Bankier Library, and an automotive technology workshop, to name a few. 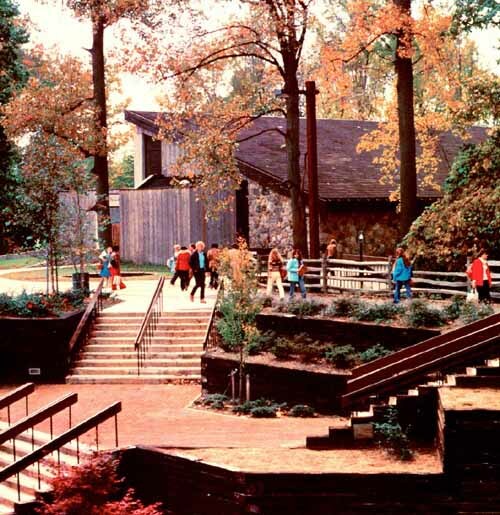 The Lincroft campus is also home to the Monmouth Museum, the Brookdale Performing Arts Center, and the Brookdale Public Radio station. 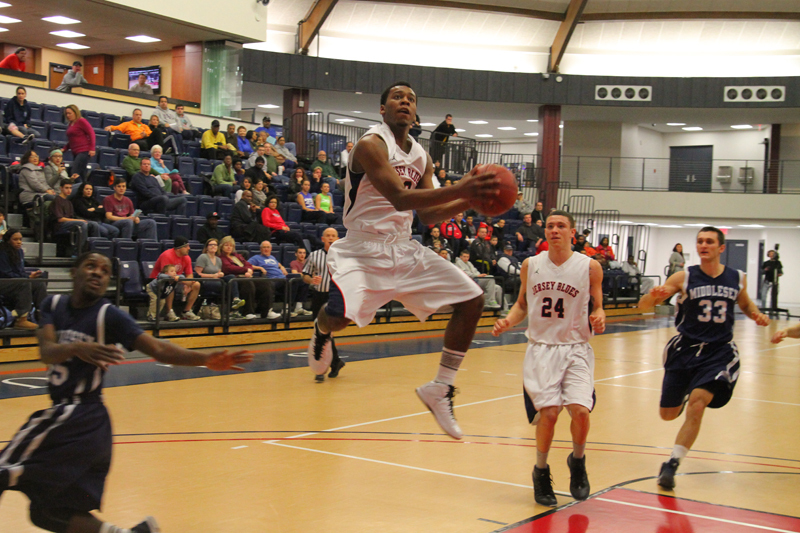 Brookdale a member of both the National Junior College Athletic Association (NJCAA) and the Garden State Athletic Conference. Other campus groups at Brookdale include many dozen clubs and organizations. These include an animal club, an art society, a biology club, a chemistry society, a computer science club, a gamers club, a motorcycle club, a writing club, a dance club, and countless other student interest groups. 9. What is the Brookdale Community College neighborhood like? 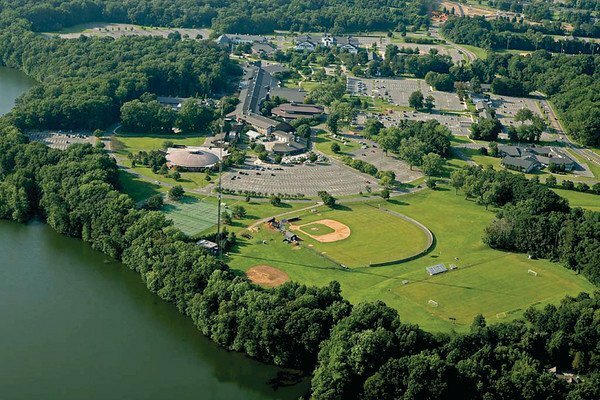 The main campus of Brookdale college is located along the shores of the Swimming River Reservoir. Just northwest of the Lincroft campus is Thompson Park. Less than two miles south of campus is the Due Process Stables Golf Course. Within walking distance of the Freehold campus are a Burlington Coat Factory, the Freehold Mall, and quite a few places to eat. Within walking distance of the Long Branch campus are a Family Dollar store, a public library, and more than a dozen eateries. 10. What are the distance learning options at Brookdale Community College? Brookdale offers online courses for the convenience of students with busy schedules. Here is a sample of some of the upcoming online courses offered at Brookdale. 11. What is the contact information for Brookdale Community College? You can reach the main campus office by calling 732-224-2345. To reach the Freehold location, call 732-780-0020. For the Brookdale location in Hazlet, call 732-739-6010. To contact the Long Branch location of Brookdale, call 732-229-8440. To reach the Neptune center, call 732-774-3363. For the Wall location, call 732-280-7090. To inquire about online courses at Brookdale, call 732-224-2089.